November marks the unique American holiday of Thanksgiving; a tradition of giving thanks that dates from a time before we were even a country. 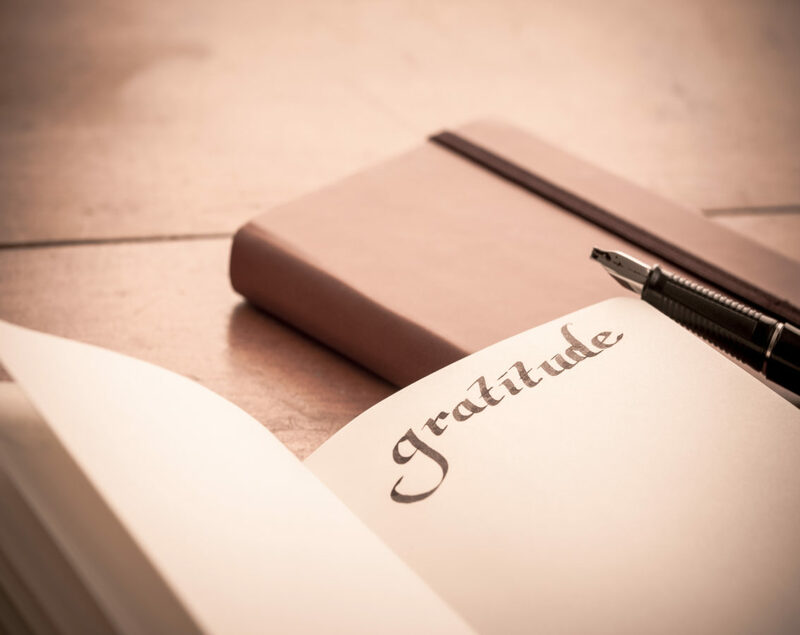 With all of the conflicts and troubles in our nation today, one might ask if gratitude is still appropriate? How can we be thankful for things that are seemingly so clearly bad or wrong? And what about those things in our own lives that feel out of control or that there appears to be no solution for? At what point can we legitimately throw up our hands and say that gratitude is no longer appropriate? To that I offer up the ancient wisdom of the Bible that says to “Give thanks in all circumstances” (I Thessalonians 5:18). Not that we give thanks for bad or evil things, but instead that we give thanks to God in spite of them. I have had many disastrous things happen in my life: Injuries with life-long consequences. Illnesses that have taken the lives of those I love. Broken relationships forever beyond repair. Business problems and setbacks that sometimes seem insurmountable. Through the years I have come to see that an attitude of gratitude in the face of those heartbreaks and setbacks is the most powerful way to persevere and also recover quickly. It has been my experience that there’s something powerful in giving thanks in the midst of problems. It requires me to have a much more humble attitude of surrender and openness, and to recognize that I only have limited control. It also restores to me a joy of why I do what I do and to focus on our company’s core mission to inspire, impress and improve the lives of others. 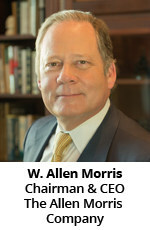 As I have thought back over the major real estate projects that we have developed at the Allen Morris Company, almost all of them encountered some sort of huge difficulty or default beyond our control or delays that required us to pivot and adapt to make the projects successful. This was even true with our award-winning Alhambra Towers building in Coral Gables, and with each major project over the course of our 60-year history. I am grateful for the legacy and vision that my father, L. Allen Morris, the founder of our family company, passed on to me and my children. 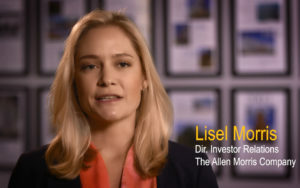 My daughter, Lisel, our Director of Investor Relations, tells the story of one of those inspiring encounters with her grandfather when she was a little girl. I invite you to listen to her story in this 60-second video. This Thanksgiving season, I hope that you will experience the refreshing empowerment of gratitude and remember how much we all have to be thankful for – even if you don’t feel grateful at this moment. Perhaps the strain of politics and the recent election has you feeling glum. Or maybe there is something in your own life right now that doesn’t seem fair. It’s tough to give thanks in the midst of heartbreak. Please allow me to encourage you to give thanks anyway- in spite of whatever it is that weighs you down. My Thanksgiving prayer is that you are lifted up by gratitude and that the weight of despair is overcome. When we remember all that we do have in life to be thankful for, gratitude is not only appropriate, it is the only response that makes sense. And that’s why Thanksgiving is my favorite holiday of the year.